BREAKING up is tough. It is putting an end to something (that was once) wonderful. We cry over it, lose sleep over it, and feel broken inside. This is how most of us react to one of life’s saddest moments. And as silly as it may seem, we feel every bit (sometimes even more) of pain when our favorite celebrity couple breaks up. It can hit us nearly as hard as though we know them personally. As part of the beauty and entertainment business, I had my share of heartbreaks due to friends splitting up. I share their pain. And I am also not ashamed to cry and get heartbroken when some celebrity couples (whom I loved, followed and rooted for) have called it quits. I’ve rounded up some of the celebrity breakups that have made many people cry, gasp, and hashtagged the #endofforever. Of all the girls that Brad Pitt went out with, I just can’t get over the end of his two past marriages. I remember writing about the breakup of “Brangelina.” I admit that until now I can still feel the pain from “Mr. and Mrs. Smith” breaking up. But before Brad and Angelina were a thing, he was part of (what was once) an adorable couple. Before “Brangelina,” there was “Brennifer,” aka Brad Pitt and Jennifer Aniston. Brad and Angelina had a much-talked-about relationship from start to finish. They started dating publicly in 2005 and were married in 2014. They had three biological children: Shiloh, Vivienne, and Knox. They had an adopted son Pax, while Brad was a step-dad to Angie’s previously-adopted kids Maddox and Zahara. “Brennifer” ended in 2005 while “Brangelina” stopped existing in 2017 – and made us question if love still exists. What does one do when he finds himself irrefutably falling in love with his co-star while still engaged to his fiancée of three years? Well, he gives into his heart’s longing, calls off his engagement, marries the woman of his dreams and has a baby with her as soon as possible (like, that-same-year-kind-of-possible). Such is the story of how Ben Affleck broke up with Jennifer Lopez to be with the other Jennifer – Jennifer Garner. Ben and Jen Garner met in 2000 on the set of “Pearl Harbor” but fell in love on the set of “Daredevil” in 2002. They were engaged in April 2005 and married in June while Jen was four months pregnant with their first child. They had three children together, Samuel, Violet, and Seraphina Rose, and they constantly gushed about their wonderful life together. Their life was straight out of a romantic novel. And from where we as fans, were standing, they seemed like a couple who would truly go the distance. Because like all good things, this one too, couldn’t last. They announced their split in 2015 and closed that book the same way most of us closed our hearts to forever. The day Gwyneth Paltrow and Chris Martin decided to end their 10-year marriage is the same day my world shattered into pieces and my vocabulary widened. They called it “conscious uncoupling” but for us, it just means the end of an era. Why would you let us believe that love stories like yours exist only to crush our dreams of having one? Why? The stylish pair met in backstage at a Coldplay show in 2002, and began dating, a relationship which the front-man later said was his “first serious” relationship. In December 2003, Gwyneth and Chris were photographed patting her belly, and announced they were expecting a baby together. They secretly married later that month and their daughter Apple was born in May 2004. When their son Moses was born in 2006, Paltrow was open about her struggle with post-partum depression. Nobody saw it coming. Like we never thought that Chris Pratt would get all buffed-up and grow some serious muscles. It is probably one of the most heartbreaking celebrity breakups in recent memory because nobody saw Anna Faris and Chris Pratt falling out of love just like that. The pair met on the set of the film “Take Me Home Tonight” in 2007, but Anna was married to actor Ben Indra at the time. When the two split later that year, Chris and Anna began dating. They were engaged in 2008, married in 2009, and welcomed their son Jack in 2012. When Chris’s career started taking off in 2012 when (or because) he got buff to star in “Guardians of the Galaxy,” people really started to fall in love with the quirky couple who seemed so devoted to each other. But they stunned the world when they announced their separation in 2017. Stunned – that’s an understatement. Our hearts were crushed. They danced to the same tune for more than 10 years: they shared adorable photos, told sweet stories about their family, and even recreated their iconic “Step Up” dance for their anniversary. Then the music stopped. And so did their marriage. Channing and Jenna Dewan Tatum were one of Hollywood’s strongest couples. They were in synced and were totally made for each other. The couple met on the set of the 2006 movie “Step Up,” got engaged in September 2008, and tied the knot in July 2009. They also welcomed their daughter, Everly in 2013. And when they announced the split in 2018, it was like a fairytale story with a tragic ending. Though they seemed to split amicably, it was still heartbreaking nonetheless. 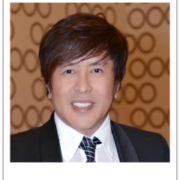 Monet Lu is a Marikina-born, award-winning celebrity beauty stylist with his own chain of Monet Salon salons across Southern California and Las Vegas, Nevada. Ultimately, Monet is known as an all-around artiste who produces sold-out fashion and awards shows as well as unforgettable marketing campaigns. Monet is also the founder of the revolutionary all-natural beauty products such as Enlighten, your solution to discoloration. To contact Monet, please visit www.monetsalon.com or email him at monetsalon@aol.com.